Are your electrical appliances properly grounded? So you just bought a brand new washing machine in Thailand? 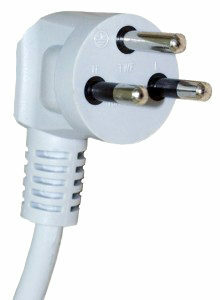 In may cases appliances like these comes with a European Standard plug, also known as “Schuko”. 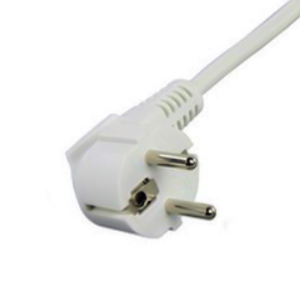 This is a European Standard plug. With a “Schuko” plug like this, one of the pins connect to the phase in the socket, and the other pin to the neutral. The two slots on the side is where it connects with ground in the socket. This is a European socket for “Schuko” plugs. 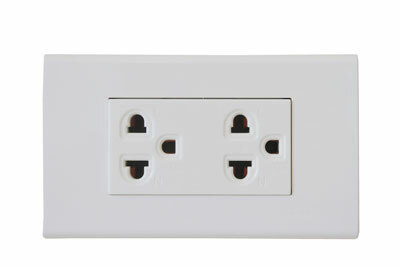 When you insert the Schuko plug in this Schuko socket, the two slots on the side of the plug will connect with the two ground pins that you can see sticking out at the top and the bottom of the socket. So far so good right? Well, when you live in Thailand, the sockets will typically look like this instead. So, what’s the problem you might think? Clearly the plug from my new washing machine will fit in this socket and it will work just fine. Yes, it will work. But it will not be grounded and therefore not safe to use. The type of socket we use in Thailand has three holes instead of two. The third hole (the smaller hole to the right in the picture) is ground. This means that to properly connect grounded equipment or appliances to these type of sockets, the plug need three pins. 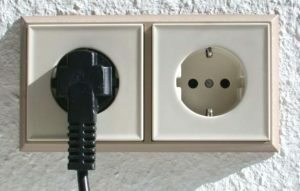 To solve the problem you could in some cases buy an adapter to use with your european plugs in Thai sockets. However this type of adapter can be difficult to find and the quality of the adapter is often not good. A better solution is to replace the plug on the cord with a Thai plug of good quality. Many people are not aware of this and in many cases nothing dangerous happens. But when you are using equipment or appliances that needs to be grounded, especially outdoors or in wet environments, without properly connecting them to ground you are putting yourself and your family in danger. Proper grounding is the most essential part of a safe electrical installation. Proper grounding of your installation and the installation of a RCD is well-invested money and might safe your life. Posted in Kat-Tech electrical school and tagged electricalschool.